Revolvr is a front-facing shooter created for the Leap Motion 3D Jam 2015. It is a solo project for the Open Track of the competition using the Oculus Rift with the Leap Motion controller on the desk in front of you (see setup tips below). 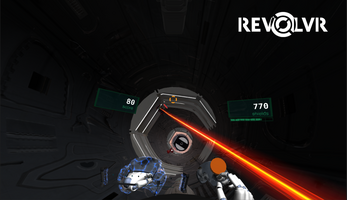 It is an adaptation of top-down shooter style gameplay into VR. The aim was to make a game using the Leap and Rift that had the feel of an old arcade machine with simple controls that anyone can pick up and play. Revolvr was created using Unity3D. 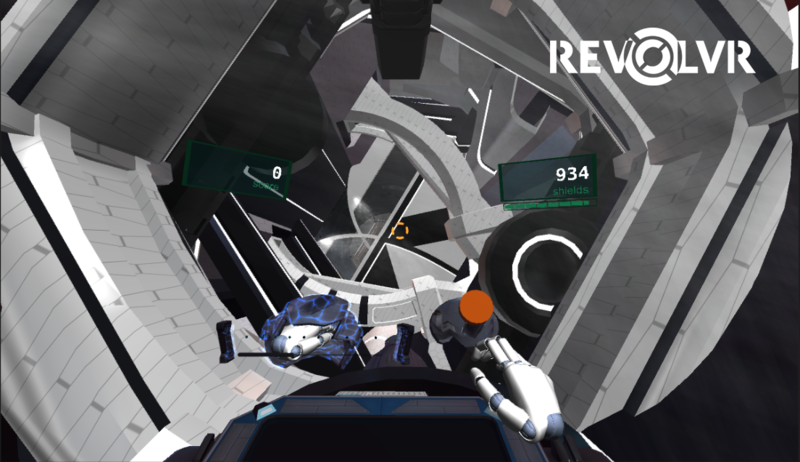 If you like it let me know as I hope to further develop the game - all feedback is welcome! 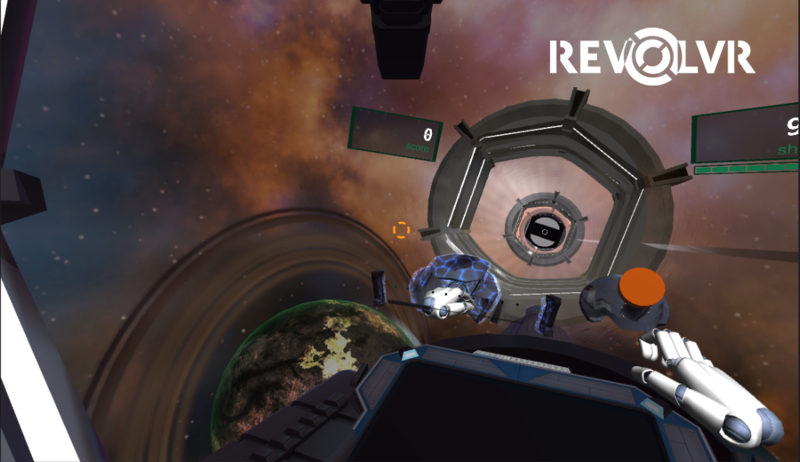 Made for Leap Motion and Oculus Rift. Can be played with a game controller or keyboard and mouse with/without the Rift. 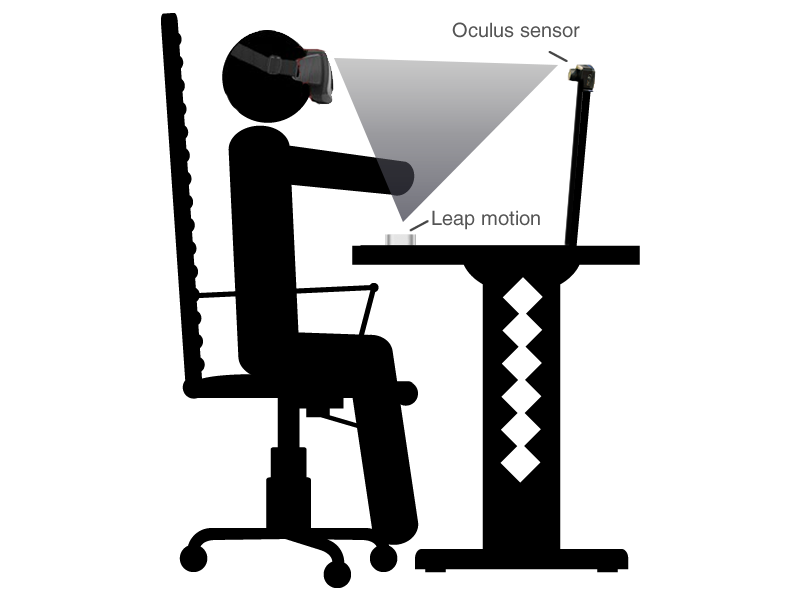 Ensure that your Leap Motion is placed on the desk in front of you (and not mounted to the Oculus headset). If you have trouble getting the game to detect your hands correctly try to retracting your hands completely and then bring them back into view. Using your left hand, push forward to move through the tunnels, and avoid obstacles and enemies by sliding left and right. 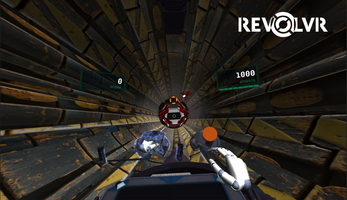 Keep your right hand over the fire button for quick reactions and aim by looking at your target. Download and extract the zip file and run from exe included.